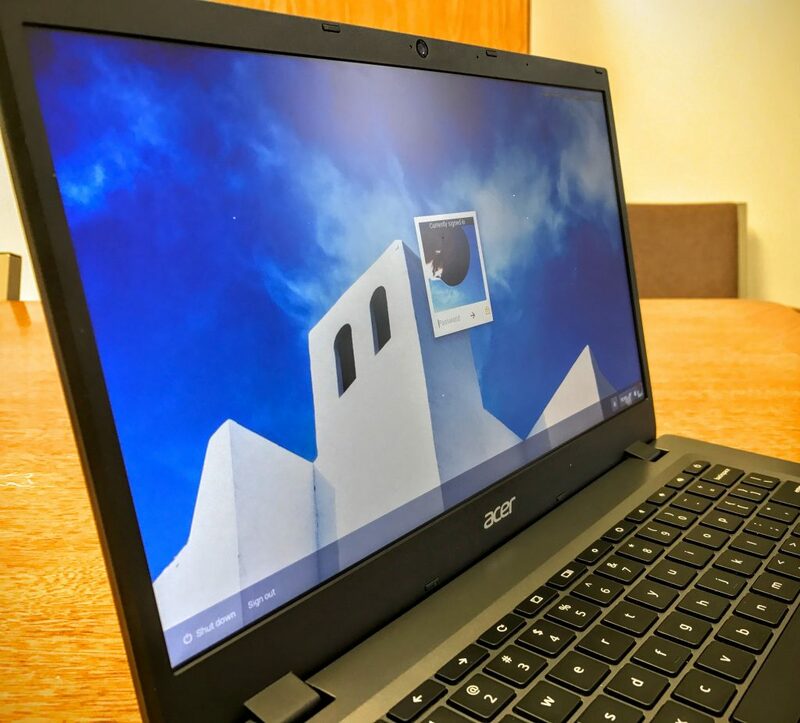 The Acer Chromebook 14 for Work brings enterprise hardware to the low-end Chromebook market. 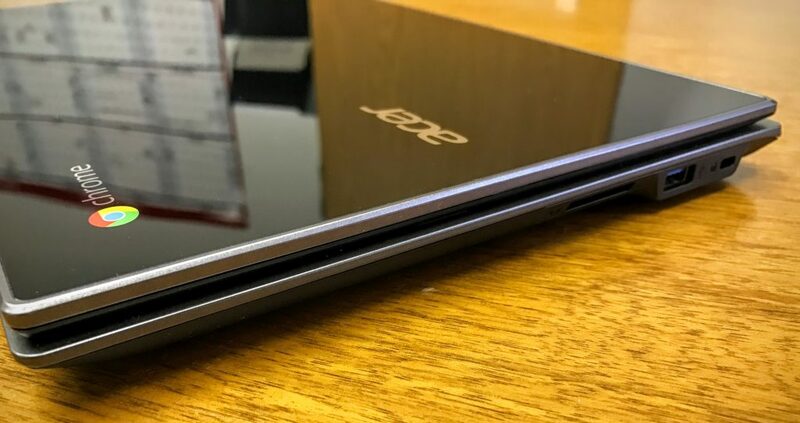 Acer carries a positive image among Chromebook fans thanks to the excellent Acer Chromebook C720 that remained our favorite small-sized Chromebook even a year or two after it came out. 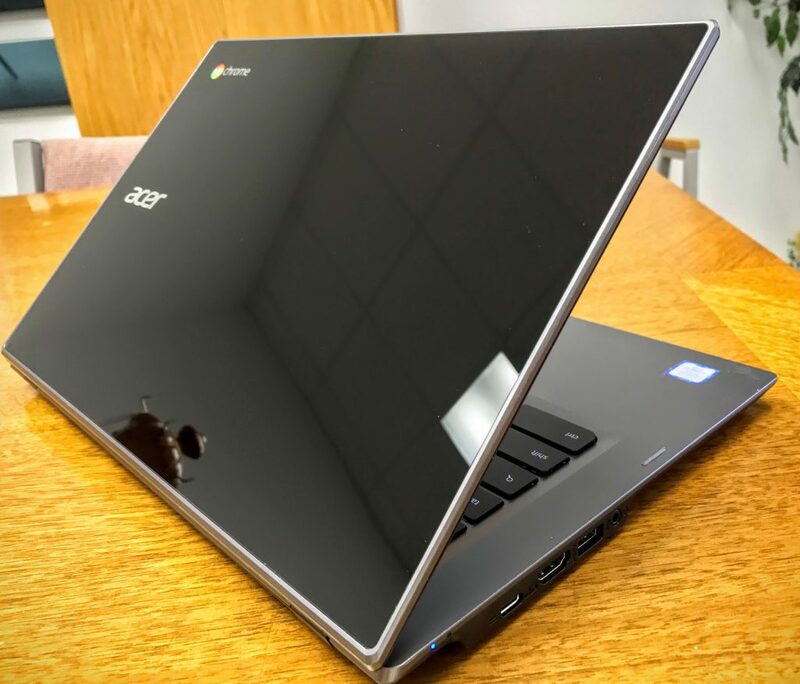 Can this larger Acer Chromebook 14 for Work match the success of earlier models? Some Chromebook buyers want a more powerful system, but they don’t want to pay the premium price for a Google Chromebook Pixel, which costs over $1,000. So, the other manufacturers started putting out more powerful systems in the $400-$700 price range with faster processors, more memory, higher resolution screens and better hardware design. The Acer Chromebook 14 for Work fits that sector of the Chromebook market. We’ll see if it can deliver. As the name implies, Acer designed the Acer Chromebook 14 for Work as an enterprise or institutional machine. 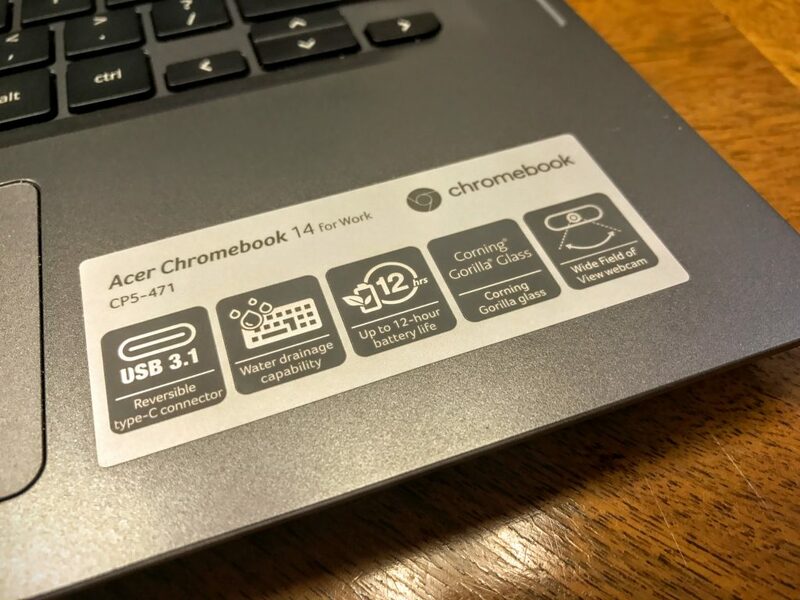 However, anyone who needs more than a basic or budget Chromebook with a slightly larger screen should take a close look at the Acer Chromebook 14 for Work, even if you’re not a business user. The computer will fit well in a student’s dorm room as their primary laptop given some caveats. 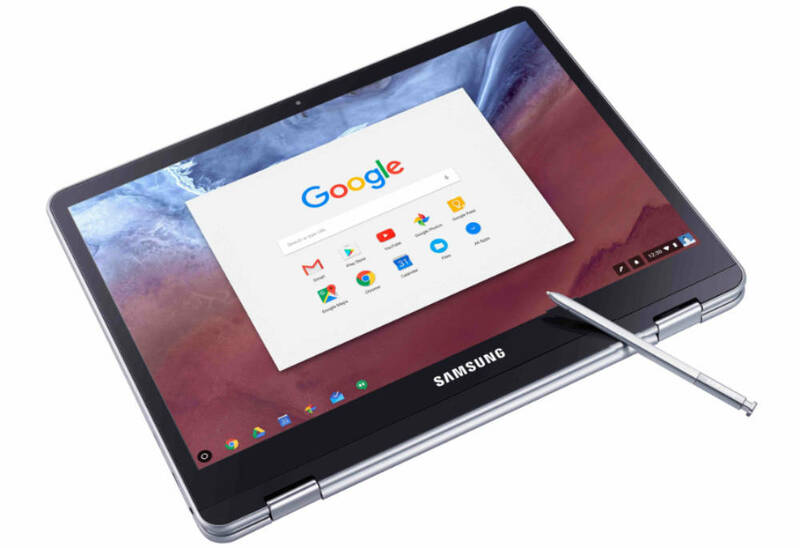 Students or home users who don’t mind using Google Docs or Office 365’s Mobile web apps for work and online games and entertainment can enjoy a Chromebook as their primary computer. Home users will enjoy it for streaming entertainment on the Internet and for doing some research for school. Users can open lots of tabs without fear of sluggishness, something not possible on a system with only 2GB of RAM. The Acer Chromebook 14 for Work costs a little more than the average 11-inch to 13-inch Chromebook coming in around $250-$350. Our review unit retails for $499. Buyers can pay as much as $750 or as little as $350. What do you get for those prices? Here’s a look at the four primary models Acer sells. That last version looks more like most of the lower price models with one important exception. 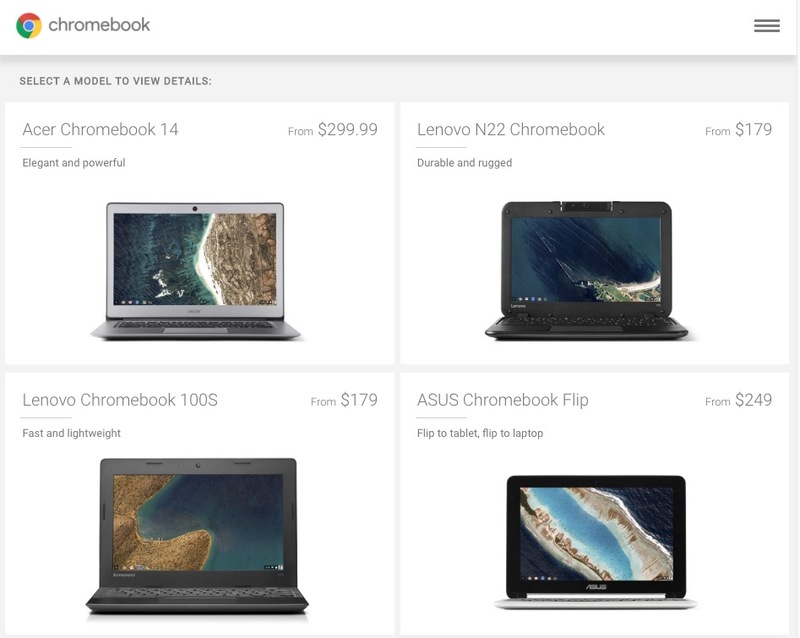 It boasts a 14-inch display, bigger than most Chromebooks. We liked the Acer Chromebook 15 and for years the 2nd generation HP Chromebook 14 kept the top spot on our list of overall favorite Chromebooks. If you like bigger Chromebooks, then the 14-inch business class model will make you happy. 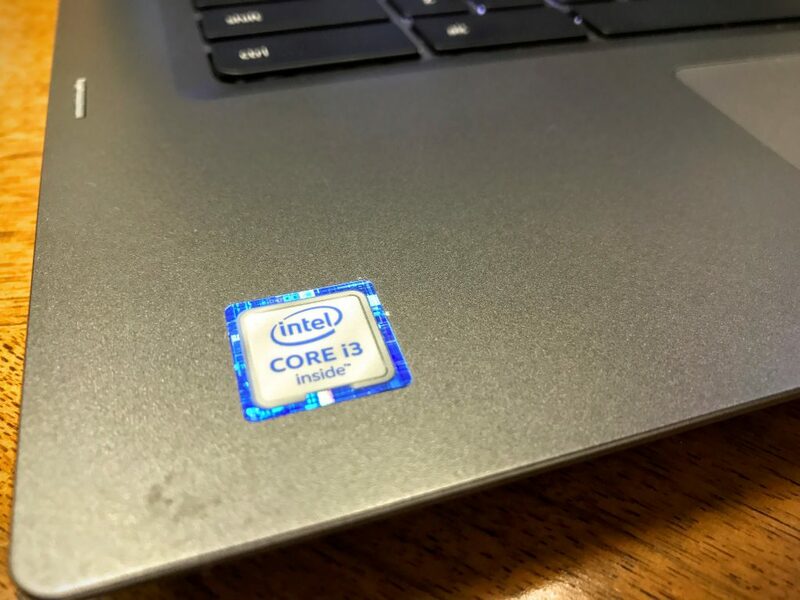 We got the mid-range CP5-471-35T4 with an Intel Core i3 6100U on our review unit. While it only has 4GB of storage and the lower resolution 1366×768, we did get the better 32GB of storage. At first glance, people might think they’ve got a flimsy computer since the lid is made of glass. Those potential buyers should reconsider that conclusion. It’s rated as MIL-STD 810G Department of Defense compliant. Acer built a sturdy system with the lid made of Vibrant Corning Gorilla Glass 3, the first laptop sporting the new ultra-rugged glass. This thing won’t scratch or break without a ton of pressure or force. 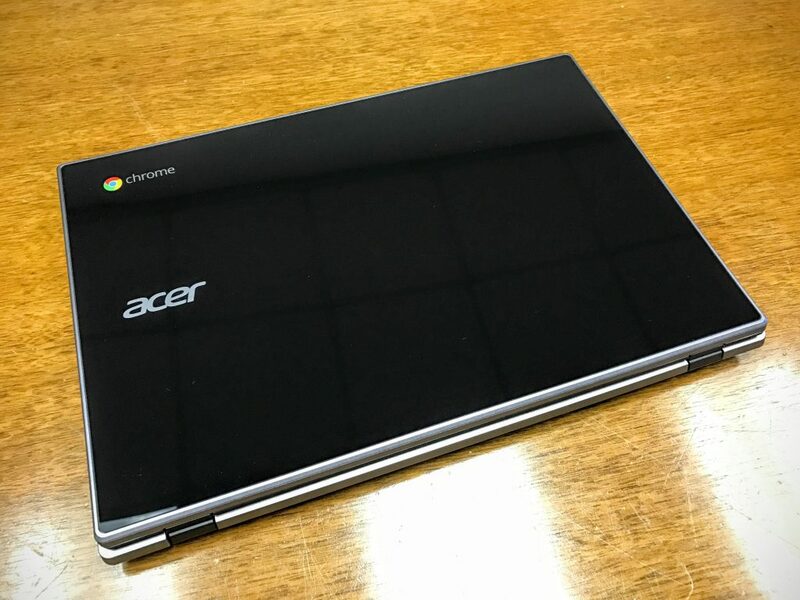 Corporate or institutional buyers who order a bunch of Acer Chromebook 14 for Work systems can get them customized. The glass lid will carry their own custom logo and branding. Speaking of branding, the bottom holds a slot for your business card so that an honest person who might find a lost computer can return it. 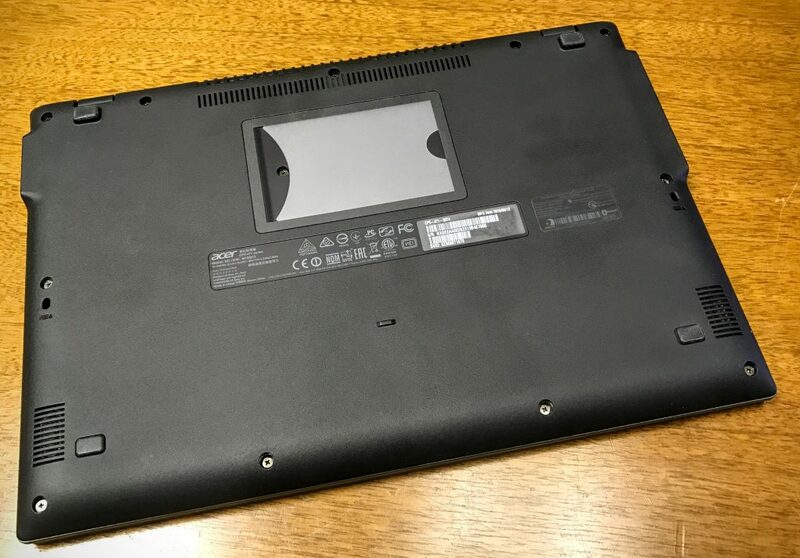 The rest of the system, with its dark gray design and plastic case, looks more like the typical laptop. The computer’s bezel and chassis finish feels textured. 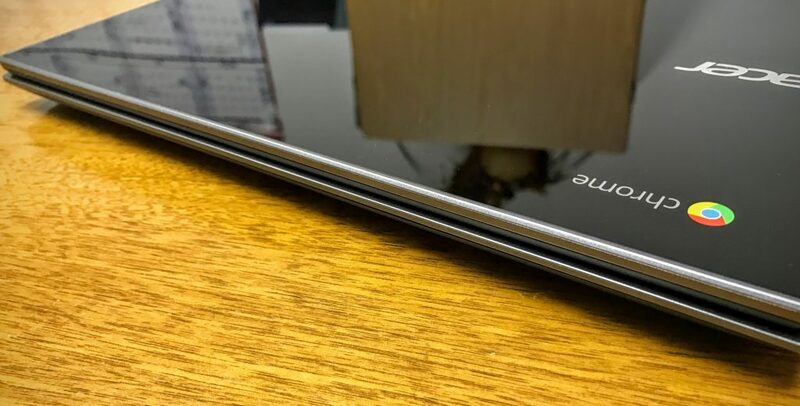 They made the narrow bezel and the base of plastic. The glass lid and the harder material around the keyboard make this a pretty rugged and durable system. 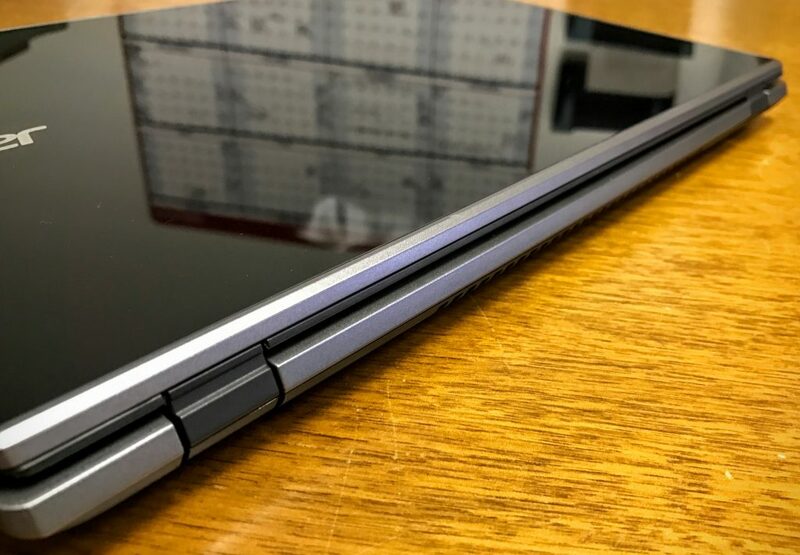 It also comes with a spill-resistant keyboard that’s designed to let the liquid drain through the bottom chassis without hitting the inner guts. The dark look will appeal to some. Those who like flashy colors won’t like the conservative look, but remember they made it for business users and institutions who often prefer conservative designs. 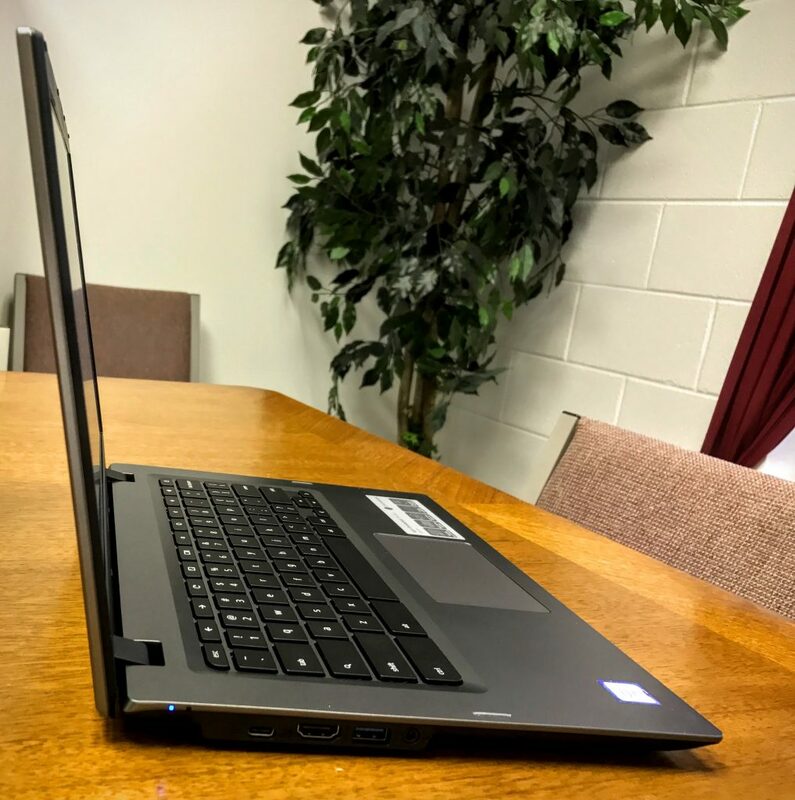 The narrow bezel gives us a slightly smaller computer than one typically expected with a 14-inch display. Acer says they put a 14-inch screen in a 13-inch chassis. The hinge feels sturdy. It’s not going to bounce around a lot while traveling. Starting on the left side as you’re looking at the display, we get the two status lights towards the back. 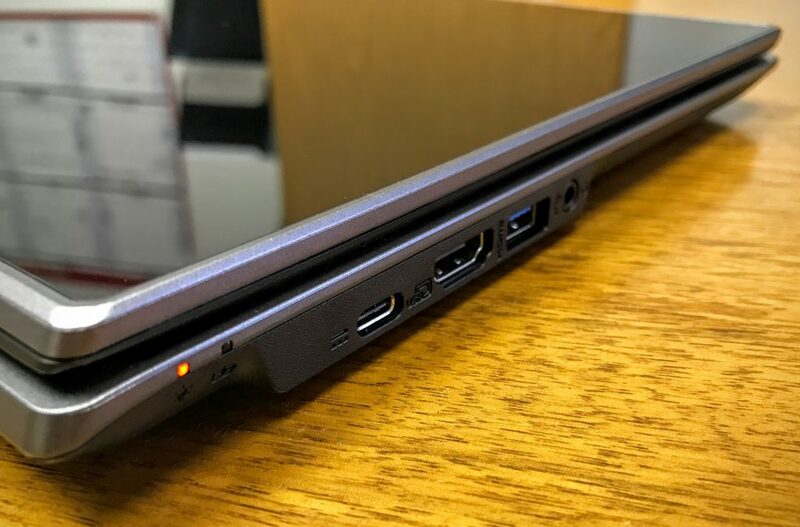 The charging port is a USB-C port as well as a charging port. It can power a monitor, work with USB-C peripherals, and charge the system. We also get an HDMI port and a USB 3.0 port on the left. Over on the right side there’s a Kensington Lock towards the back, then a second USB 3.0 port and a micro-SD card slot. The front and back offer no ports or lights. 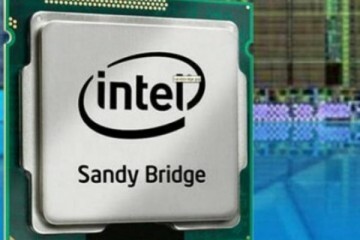 The back edge holds the vents to help cool the Intel Core i3 processor. The system runs very quietly most of the time, even with 20 tabs open and two video streams going at once. 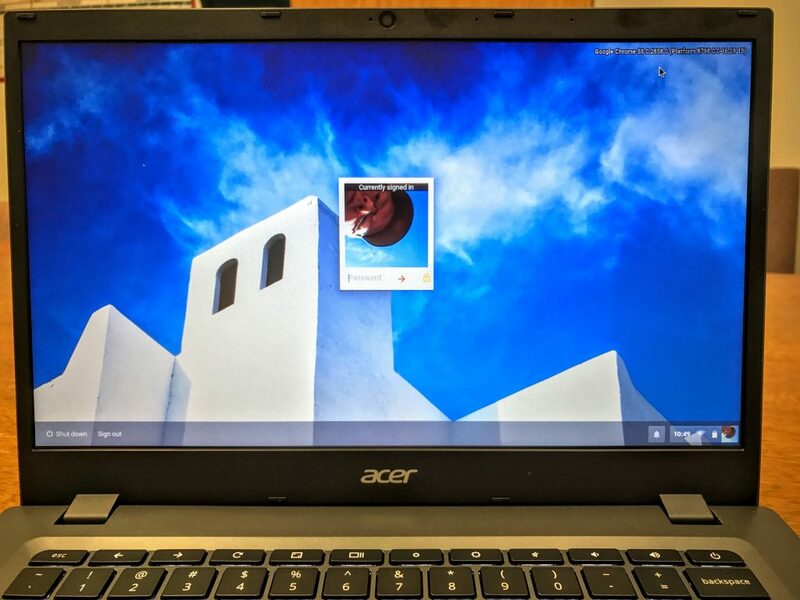 Acer usually puts decent to excellent keyboards on their Chromebooks. 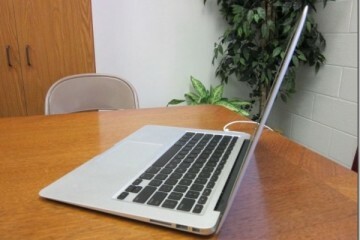 However, their trackpads often fail to measure up to the keyboard quality. The Acer Chromebook 14 for Work comes with a full-size keyboard that’s comfortable to use. The keys respond well. Everything is laid out properly to make touch-typing a breeze. I could type just as fast and accurately on it as I could on my MacBook Pro and my desktop keyboard. The backlit keys are another nice feature of this keyboard. The Acer Chromebook 14 for Work’s keyboard is a plus! Unfortunately, Acer’s trackpad doesn’t measure up to the keyboard’s quality. 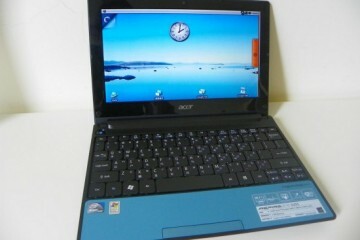 It’s not as bad as past Acer trackpads, which are smaller and too responsive while typing. This means accidental clicks happen when my hands hit the trackpad while typing. 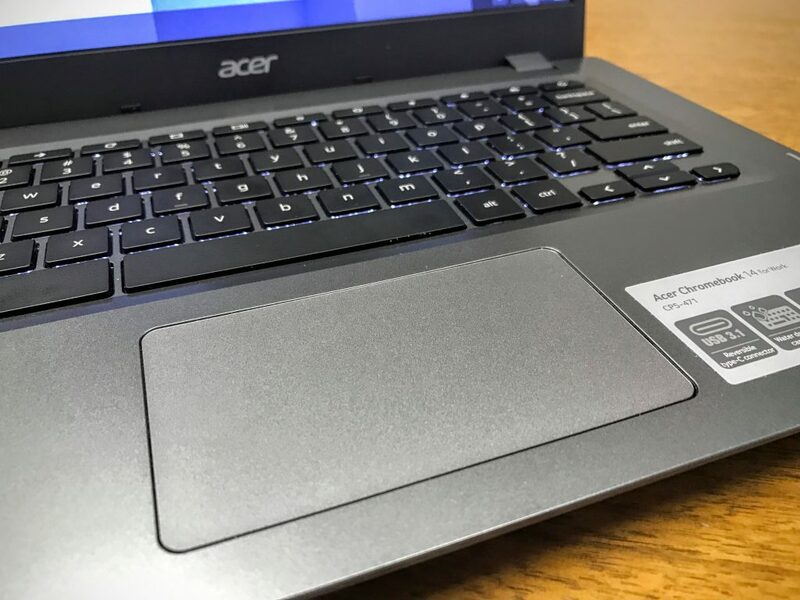 The trackpad on the Acer Chromebook 14 for Work isn’t the typical Acer trackpad. It’s still smaller than a MacBook trackpad, but it’s also responsive enough to use easily and not too responsive to suffer from accidental clicks while typing. The best gauge of the trackpad’s quality comes in how quickly I hook up my Bluetooth mouse after using it for a while. I never even bothered with this machine because the trackpad worked well enough. The display on the Acer Chromebook 14 won’t impress anyone. It’s dim and washed out. I had to run it at full brightness in a fairly bright setting. Outdoors it’s really difficult to see anything. In normal settings it looks okay. However, it’s still not a sharp high-contrast display like we’d expect on a business class machine. The effective angle of view is a little too low for a business machine in bright light. Often business people will share their screen with a client or two. In a bright board room or office they can’t on this system. 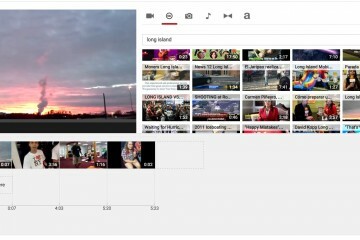 Home users may want to watch videos with a friend or spouse. Two people can’t watch, but the video looks dim in normal light. If three watch at the same time, the center person will enjoy the experience, but the other two won’t. The above image shows that in regular or lower light it gets better. Battery life will take a hit with this dim display. Users will need to run at a brighter level which eats battery power faster. The 6th generation Intel Core processor gives this Chromebook more power than most. Even the lower price version with a Celeron 3885U and 4GB of RAM should result in good performance. A 22,174 score is above average for Chromebooks and shows the power the Acer Chromebook 14 for Work packs. We’ve seen other systems with scores close to this, but not many. Acer promises 10 hours of battery life for the 1080p model and 12 hours for the lower resolution with 1366 x 768 screen. I reviewed a model with the lower resolution display, so it should last longer than the more expensive models. We test notebook batteries by using the computer during our normal work and play. The Acer Chromebook 14 for Work lasts 8.5 hours on a single charge running at 100% brightness. We’d normally test at 75% to 80%, but you can’t use this machine in most environments with those levels of brightness. Users will need to max out the screen brightness which reduces the battery life. Getting 8.5 hours of battery life should get people through their work day and give them a little time left over at night. Few people will run their system 100 percent of the time at work. 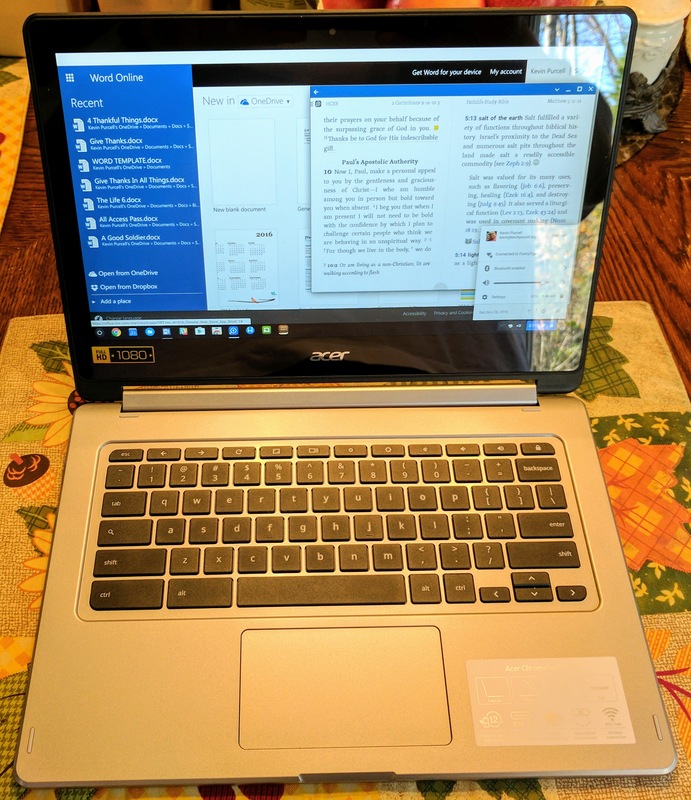 Acer produced another winner with the Acer Chromebook 14 for Work. It’s got plenty of power and great performance. The machine should hold up even in a rugged environment. Touch typists will enjoy writing on this machine and even the trackpad won’t bother them like most budget computers do. Two things might stop buyers from getting the Acer Chromebook 14. First, the model we reviewed has a poor display that’s dim, washed out and has a narrow viewing angle. Reviewers who tested the higher resolution systems didn’t suffer from poor brightness, washed out and low contrast images or poor viewing angles. So, spend the extra $100 to $250 to for the 1920 x 1080 display. 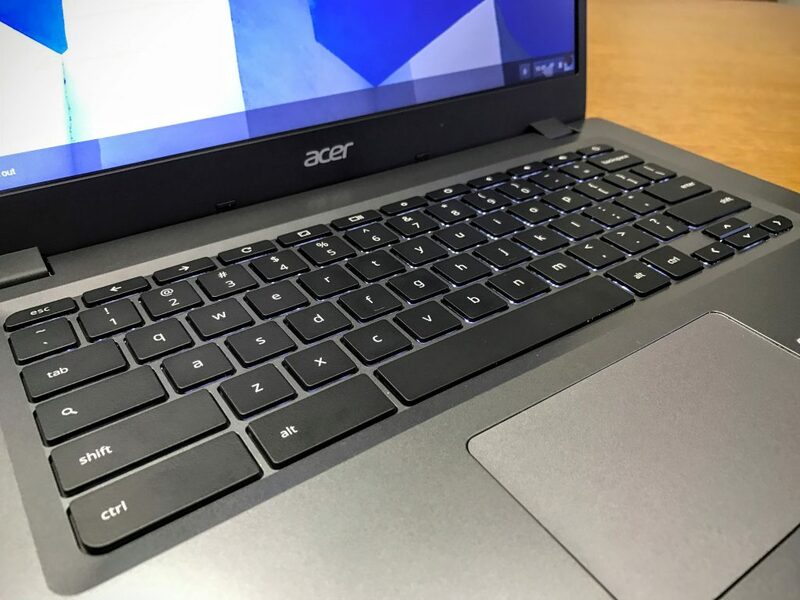 The Acer Chromebook 14 for Work is a Chromebook and some people won’t enjoy using the OS. ChromeOS fans like knowing they aren’t vulnerable to viruses like Windows and even Macs suffer today. The OS is also a simple environment. 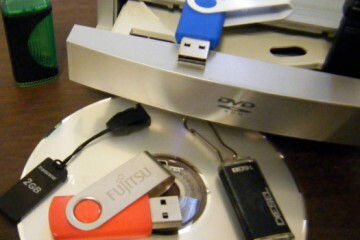 If a user starts to notice strange behavior, they can quickly erase the computer and start fresh in under 10-15 minutes with all their apps and shortcuts back in place. That can take hours to days on a Windows or Mac computer. However, users can’t install popular third-party software from Microsoft, Adobe, Apple and others. 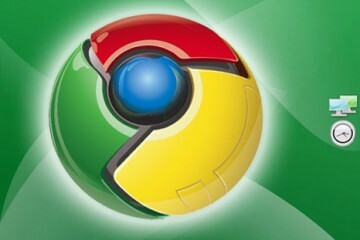 If you can’t run it in the Chrome browser on a Mac or Windows computer, then it won’t run on a Chromebook. That’s about to change. If you’re reading this after Fall 2016, then you probably can now install Android apps on a Chromebook. This will open ChromeOS to a whole new world of excellent productivity, gaming and entertainment apps. Until that happens, ChromeOS has a narrow appeal to people who can live inside their browser 100% of the time. 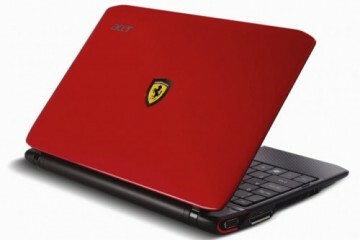 Acer to have Chrome OS netbook by mid-2010?